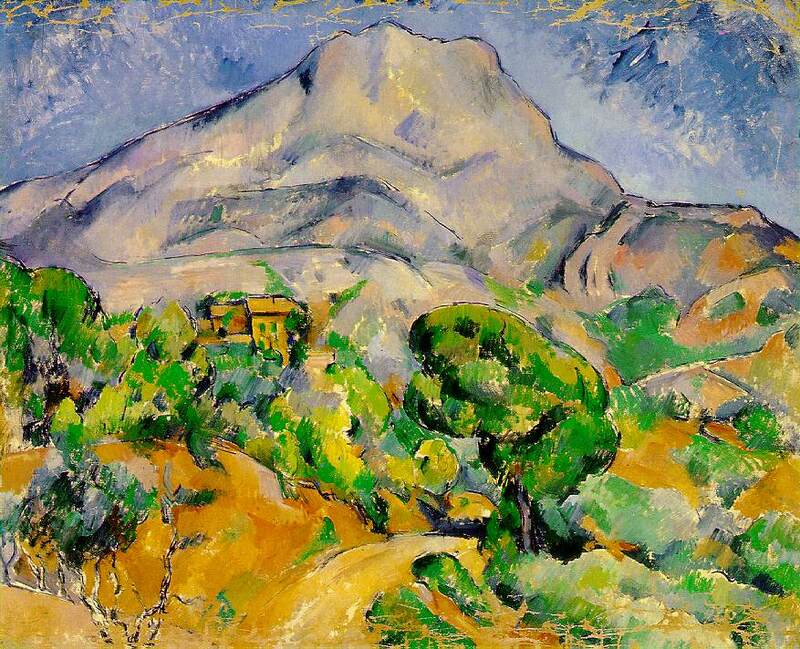 After the Cézanne family estate at the Jas de Bouffan was sold in 1899, Cézanne needed a new studio in which to work and to store his unfinished canvases, paints and other working materials. 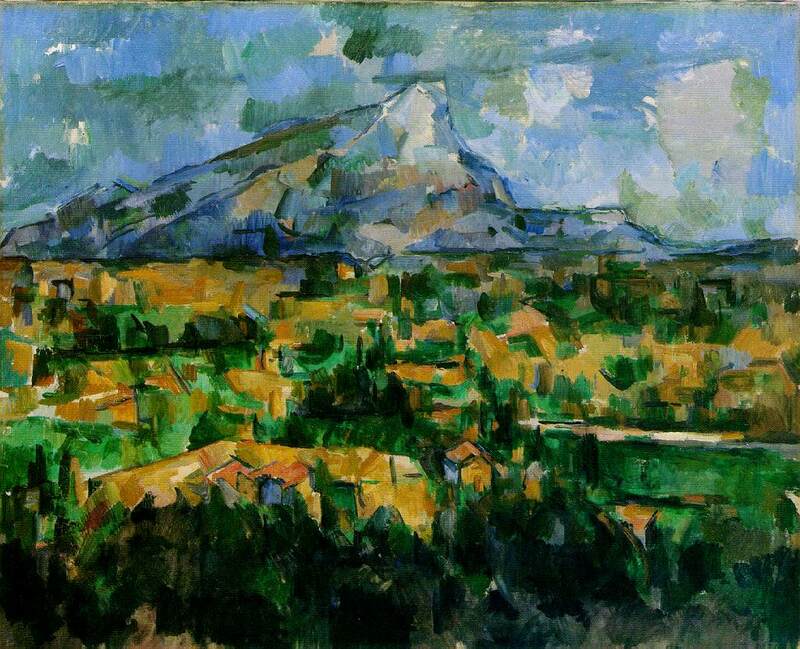 In 1901, he bought a plot of land in an area known as Les Lauves, which in Cézanne’s day was open countryside to the north of Aix-en-Provence, and is now a built-up suburb. This was Cézanne’s last studio, and he designed it with great care. It includes a ground floor with living accommodations, and a first floor studio with a very high ceiling, the necessary large window facing north for good lighting, and windows facing south toward the town. The studio is located on a road that at the time was called the Chemin des Lauves and is now named Avenue Paul Cézanne (although it is still called Chemin des Lauves beginning at a point further north). Cézanne worked in this studio from 1902 until his death in 1906, and here painted his final masterpieces, including the large bathers series, numerous still lifes, and many paintings of Mont Sainte-Victoire (although the latter were often painted on location). While today there are no paintings remaining in the studio, there are many recognizable articles from Cézanne’s last years, including a huge easel, a ladder, brushes and palettes, and various objects that appear in his still lifes, such as a table, numerous pots, jugs and bowls, three skulls and a plaster cast of a cupid. Photographs inside the studio were unfortunately not permitted to be taken. 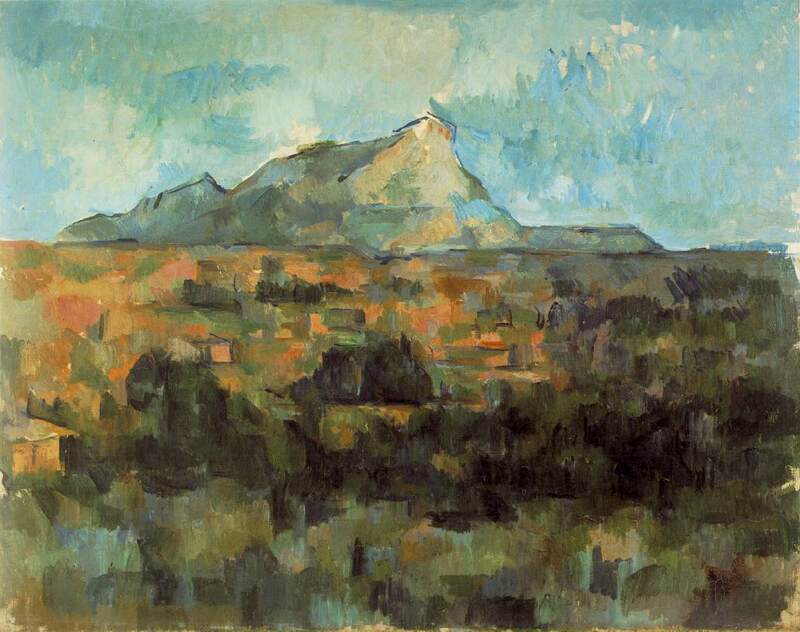 These “Post-Impressionist” paintings exhibit the characteristics of Cézanne’s mature work that so inspired the Cubists, Fauvists and other modern artists: objects, including the mountain, trees, buildings and even the sky and clouds are represented by geometric shapes arranged in patterns of color gradations. The illusion of depth is created by careful use of lines and contrasting patches of color. Note also that, particularly in the case of the first of the above paintings, the vertical perspective is not natural but has been altered to emphasize the shapes and characteristics of the mountain and the intervening space. Such alterations of perspective were characteristic of Cézanne’s still lifes, as well as his landscapes – see the introductory commentary in Cézanne, by the great art historian Meyer Schapiro (Harry N. Abrams, Inc., New York, 1952). 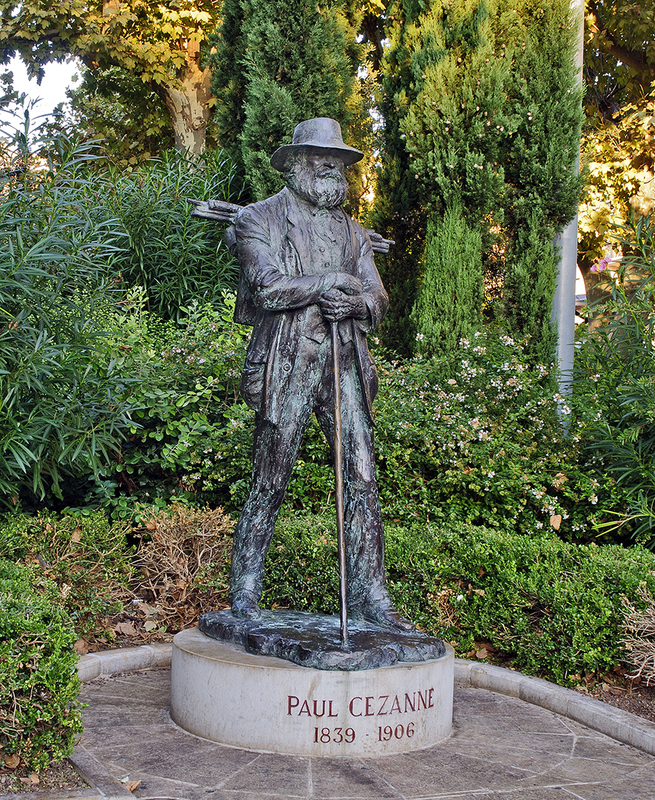 Indeed, Cézanne’s presence seems to dominate the city from the Office de Tourisme at its center to its outermost parts, and yet is only one facet of a town that has an enormous quantity of wondrous things to offer the visitor. 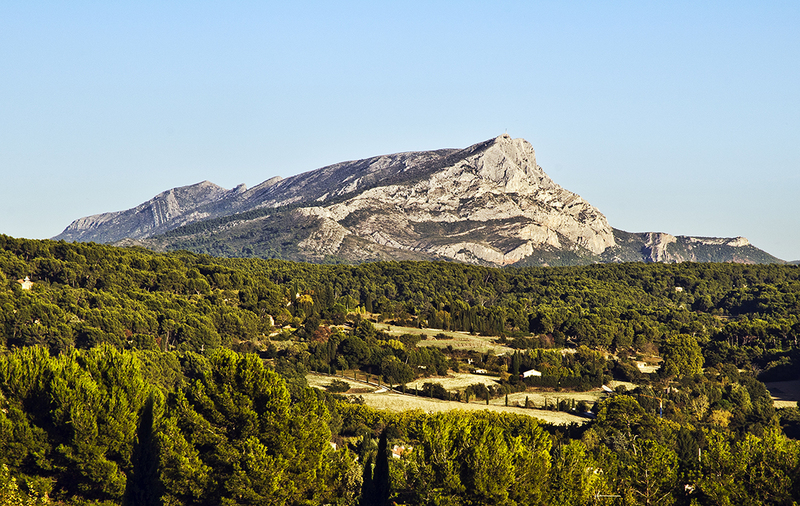 For other photos of Aix-en-Provence and other beautiful and interesting cities and villages in Provence and the Côte d’Azur, please visit the gallery Provence-Côte d’Azur on my photo website, Phil Haber Photography. For additional information about my photography, please see my photography Facebook page. 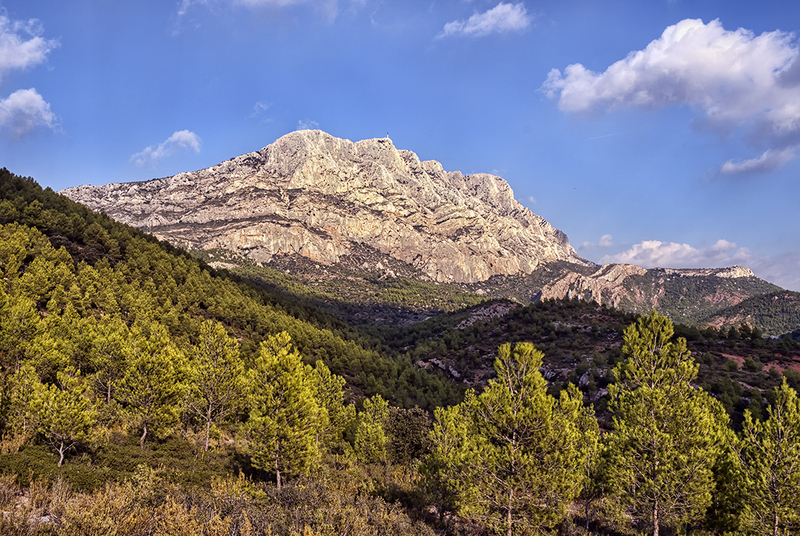 In my next post, I will describe my tour of the Bibémus Quarries, east of Aix-en-Provence, another site dear to Cézanne where he found ideal subjects for his remarkable style of painting.